Moroccan Nights is a fun stamp set in the new Stampin’ Up! 2016-2017 Annual Catalogue. 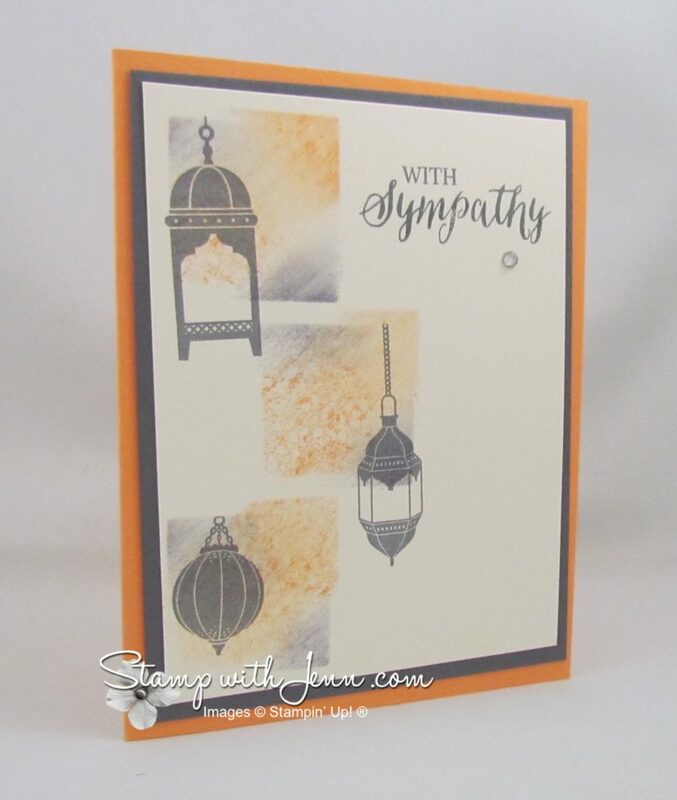 There are so many different kinds of cards you can make with this type of stamp set including this sympathy card. I got this card from a demonstrator get together, but I’m not sure who designed it! I love the sponged ink squares as small background pieces for the lanterns. And another card with the Peekaboo Peach colour (see others HERE and HERE). A perfectly simple and elegant card that works as a sympathy card! l Naughty or Nice List?